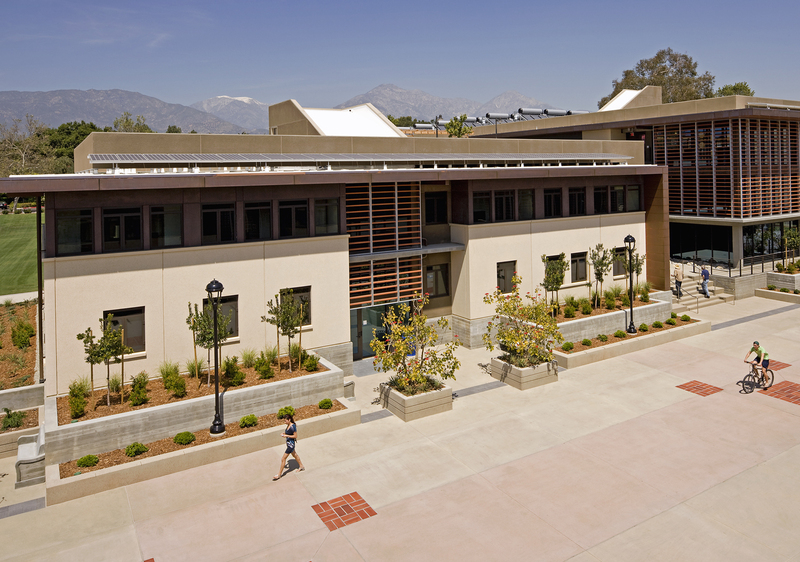 Pomona’s North Campus Residence Halls and Parking Structure consist of two buildings and subterranean parking. 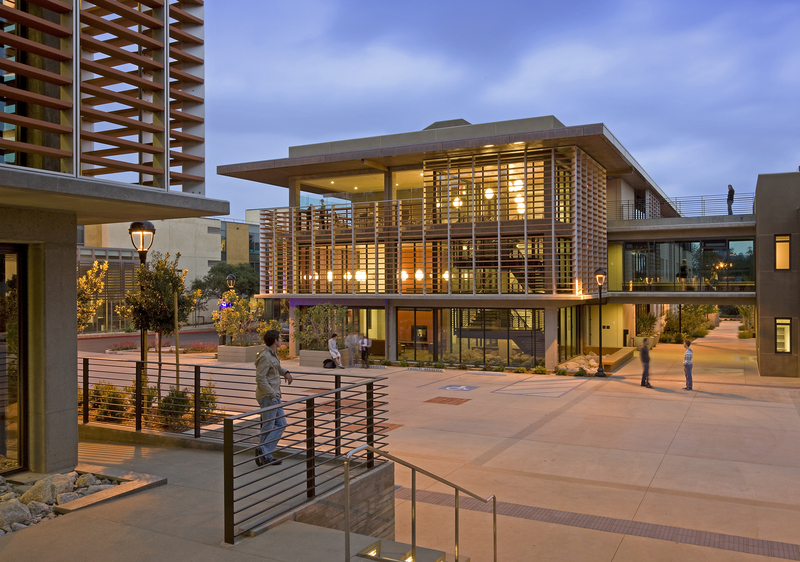 The extension of Pomona’s campus includes several courtyards and plazas, barbecue areas and a hammock garden. 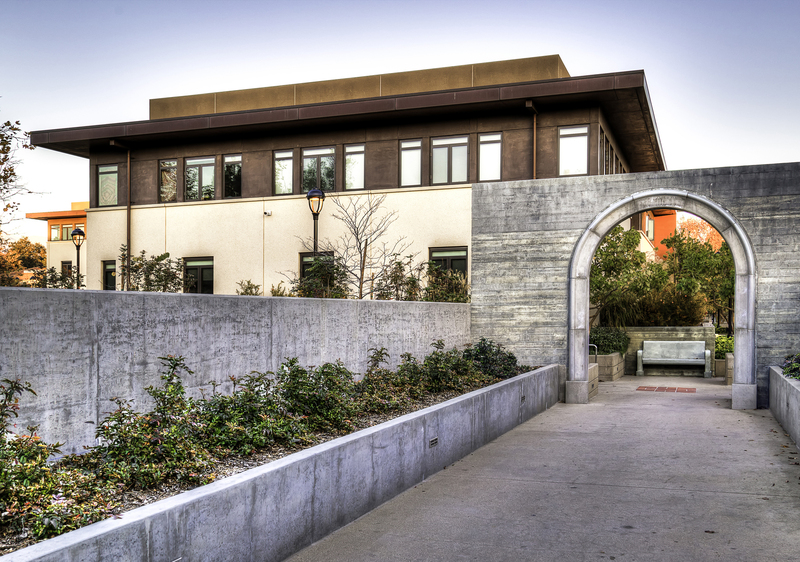 The residence halls house 3 to 6-bedroom suites, study rooms, lounges, kitchens and laundry areas. 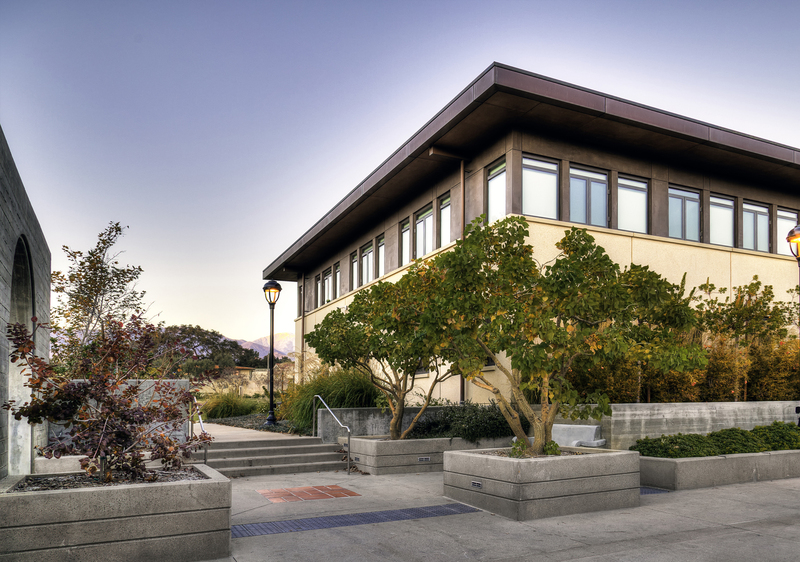 The North Campus project utilizes native and low water use plants around the site, especially in the succulent garden. 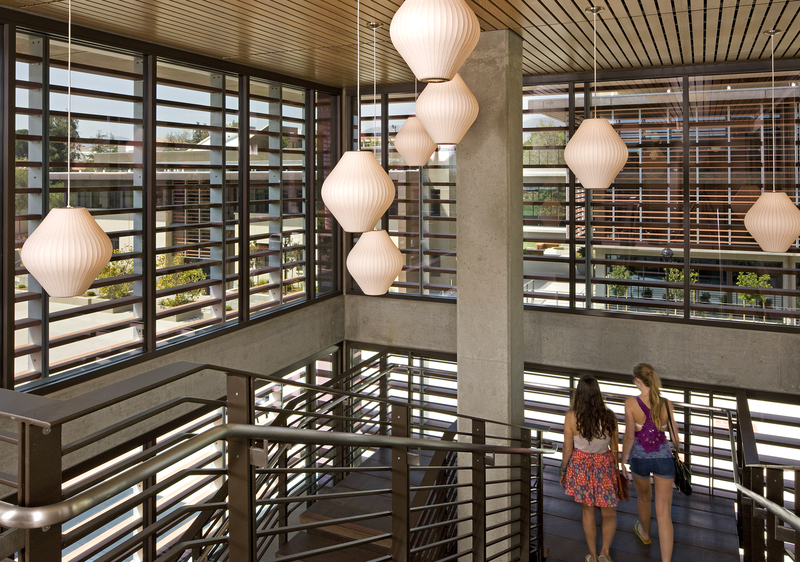 The Pomona College North Campus Residence Halls and Parking Structure is LEED Platinum Certified. 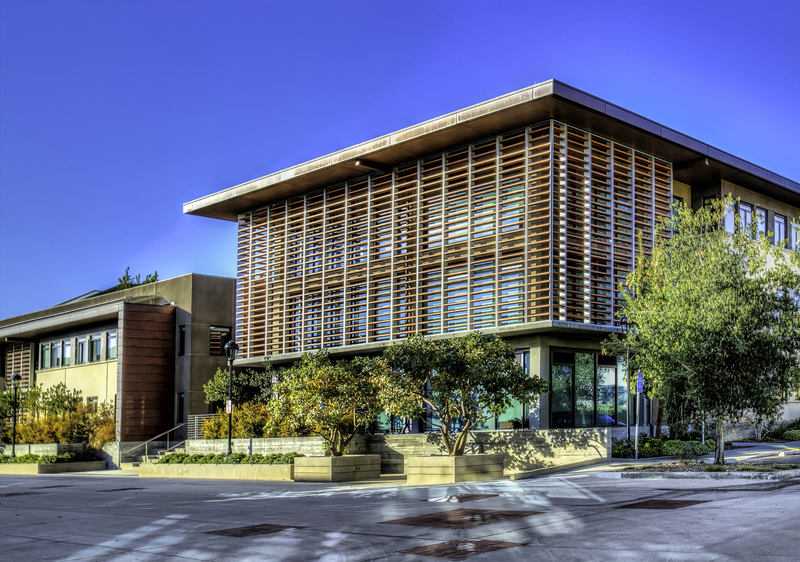 The project has also been ranked one of the Top 10 Greenest Dorms by BestCollegesOnline.com.